Saving basil seed is incredibly easy to do. 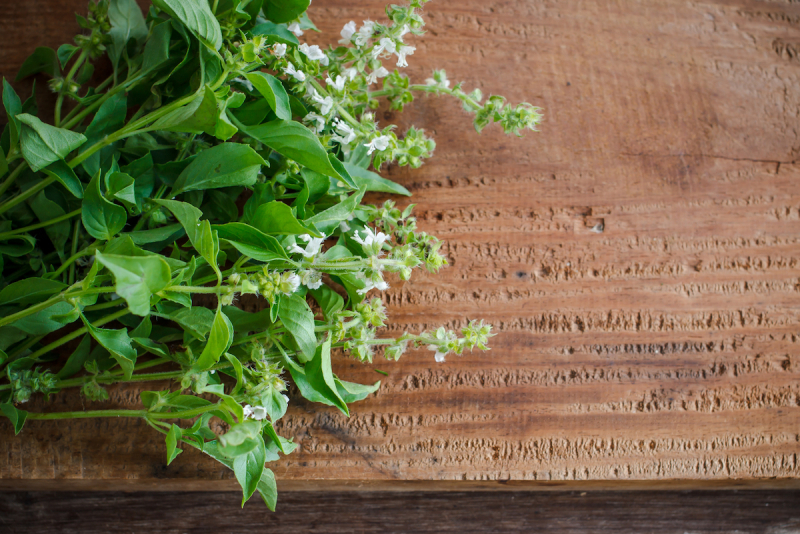 In fact, every fall, your basil plant is practically begging you to save its seeds. Here's how to do it. I'm really not trying to grow the most pathetic basil plant ever, despite what this looks like. I'm engaging in Operation: Saving Basil Seed. After all, my basil plant just spent the past two months providing me with the biggest, most pungent leaves I've ever seen, smelled and tasted. They were the star of pestos, the supporting actor in caprese salad, made cameos in roasted tomato sauce. And I want to harness that amazing-ness for seasons to come. My Nufar basil is actually brimming with life, even if it looks nearly drained of vitality. It's packed into those brown, dried bits, in the form of seeds. Future generations of Nufar basil. 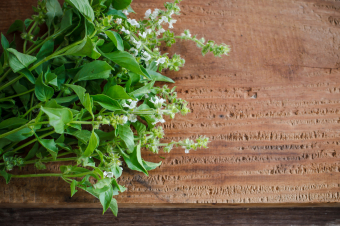 It's a variety of this quintessentially summer herb that I bought on an impulse, withholding hope for it only because I find basil a bit fickle to grow. It doesn't grow because I water it too much. It doesn't grow because I don't water it enough. It turns to seed before barely giving me a leaf. But not Nufar basil, once bushy with leaves the size of my palm, and now picked to a lanky, lean shell of its former self. It kept growing all summer and giving me the best basil I've ever had. This relative of the popular Genovese basil variety is resistant to fusarium wilt, which can prevent the plant from taking up water and cause its leaves to to go limp. Clearly, Nufar basil and I were meant to be. It's idiot-proof basil. So when I figured out where basil develops and stores its seeds while studying Nufar closely one day, I decided I had to save them. Saving basil seed seemed like the easiest thing in the world to do, kind of like growing fusarium resistant basil. Here's how I collected future generations of Nufar in pictures: Go for the brown bits on the flowering part of the basil plant. They're ready to be harvested. I gently picked the dried seed pods from the stock. Carefully peel open the underside of the seed pod. You should see a cluster of three to four black seeds inside the pod. These are gold. Gently loosen them with your fingernail into a dish. And voila! Put your clean basil seed in a dish or envelope and store it in the freezer until you're ready to plant. My heart sank just a little bit when I found out Nufar basil was a hybrid. That means there's a very good chance the seeds I save will produce a plant more like one of Nufar's parents. I'm hopeful it's the one that's resistant to the wilt. I predict basil-growing failure in my future otherwise. Not knowing how things will turn out is the appeal for gardening for me. Every year is an adventure. My Nufar basil seeds will ensure 2013 is no different.